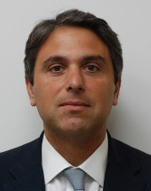 Anthony is a Managing Director based in London and Global Co-Head of Citibank's Global Asset Managers franchise, the unit responsible for private equity, sovereign wealth and pension fund, family office and hedge fund clients within Citibank's corporate and investment banking division. His career has been focused on investment banking, having previously been a senior member of the Leverage Finance and Financial Sponsors Team at Credit Suisse which he joined through its acquisition of Donaldson, Lufkin & Jenrette, having started at Lazard Freres in 1996. Anthony has worked in the Americas and Europe and across product and industry sector competencies, having been involved in some of the most significant transactions in the EMEA region. His product experience has spanned leveraged finance, M+A advisory, IPOs, and derivatives. He has also spent a significant amount of time in certain emerging markets, including Africa, the Middle East and Turkey, with a focus on working with both the international and regional private equity communities operating in these markets.